Home What is Oculoplastic Surgery? Oculoplastic surgeons are ophthalmologists who specialise in facial plastic surgery and surgery of the eyelids. Their field of work (eyelids, orbit and lacrimal system) is part of the corpus of training in the specialty of Ophthalmology. Therefore they are fully qualified to intervene in this sensitive area. Why is it important to be an ophthalmologist who operates around the eyes? Oculoplastic surgeons are ophthalmologists who know how surgery may affect the eyelid, eye comfort and visual function. They are used to working around the eye and face, using microsurgical techniques. They know how to treat the ocular complications that may arise. Oculoplastic surgeons are trained to perform different kinds of facial and eyelid surgery, ranging from simple to complex reconstructions, eyelid malposition affecting the eyelids and the areas of the forehead, temporal region and cheek. They know the delicate anatomy and function of the eyelids and adjacent structures. Along with the eyelids, they are specialized in the lacrimal system, the orbit (bony cavity containing the eye), the periocular area and facial structures of the forehead and cheeks. 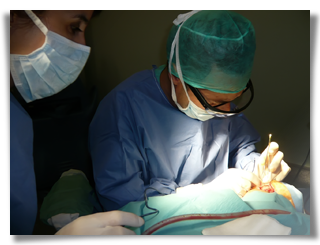 The field of oculoplastic surgery is also divided into cosmetic or aesthetic, and reconstructive types of surgery. We have a deep understanding of all cosmetic surgery and surgical medical interventions aimed at improving the appearance of the eyelids, eyebrow, forehead and facial region. Reconstructive surgery encompasses interventions dealing with the correction of defects caused by trauma, tumors, congenital problems or those associated with aging. Oculoplastic surgeons are also known as oculo-facial surgeons or ophthalmic plastic and reconstructive surgeons. As ophthalmologists dedicated to oculoplastics, they routinely perform surgeries in these areas, and recognise the potential implications on visual function. They determine the health and proper function of the ocular surface and the eyelids before any surgery, following detailed data protocols individualised for each patient. They are trained to manage complications of facial surgery and eyelids that may affect the eyes themselves. 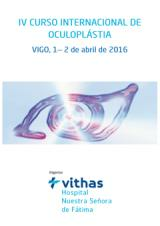 Oculoplastic surgeons in Spain have a professional society that helps them maintain high quality standards. 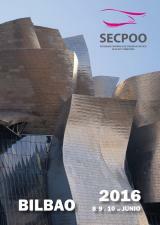 It is called Spanish Society of Plastic, Ocular and Orbital Surgery SECPOO. It organises an annual conference where progress on this matter is presented and discussed.